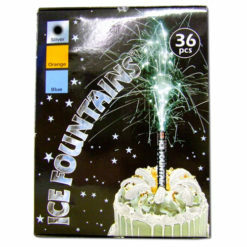 At Dynamic Fireworks our indoor fireworks range includes stunning Ice Fountains and the traditional Indoor Firework Pack. 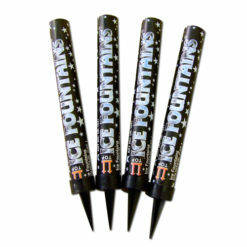 Seeing that Ice Fountains are a type of Indoor Firework designed specifically for safe use inside. With a projection of sparks normally reaching 10-12 inches in height and a duration of approximately 45-55 seconds. As a result, they are ideal for use for home celebrations and the likes. 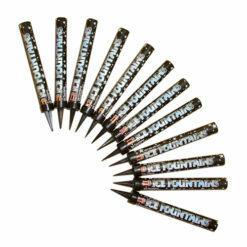 When placed on the top of items such as birthday cakes, or by professional caterers in restaurants for desserts. With their low smoke and indoor nature. While many pubs and clubs use them attached to champagne bottles or cocktails. 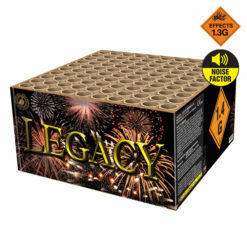 What is an Indoor Fireworks Pack? Indoor fireworks provide a great introduction to children with fireworks. 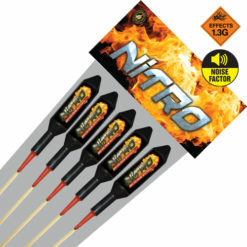 Particularly as they provide a range of little fireworks, that produce sparks, strobes and flashes. They contain eight different items. As a matter of fact, they are a big favourite for Christmas dinner and kid parties. 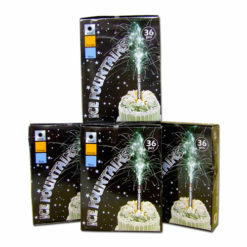 These packs of firework novelties are sure to add a bit of fun around the dinner table. 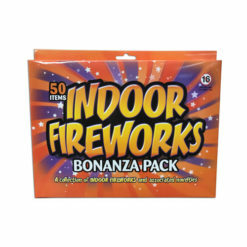 This traditional retro Indoor Firework Bonanza Pack is a real winner with all the family. 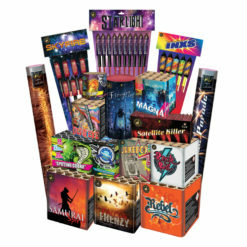 A throwback to yesteryear with this fantastic selection of indoor fireworks. The Indoor Firework Pack contains 50 items. Ranging from the sizzling strobes, disco inferno and flash harry strobe fireworks. Also including stunning little Ice fountains and blazing bengals. Not forgetting every bodies favourite the Snakes Alive – growing snake effect. With the added fun of bang-bang fun snaps. 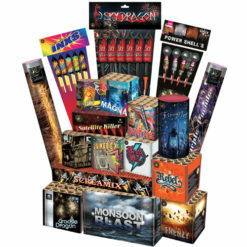 We recommend that for this category 1 Indoor Firework Bonanza Pack. To place all items on a metal tray or similar to prevent damage to the surface below.